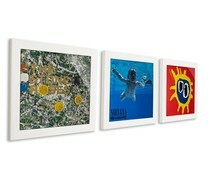 Art Vinyl record frames give you the chance to stylishly display your vinyl albums, 12" records and their contents on your wall. 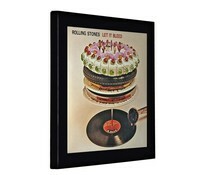 With the record frame's unique design, you can also change over your vinyl record display within seconds, without having to remove the frame from the wall. 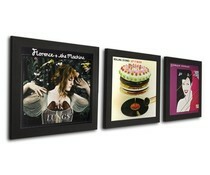 Art Vinyl frames have a unique quick release system; simply press the catch at the top and they hinge open. 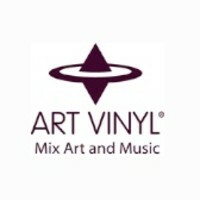 No two records are alike; with this in mind the Play and Display frames are specially designed and manufactured to compensate for differences in the thickness of LP or 12" records when displayed in the frame. 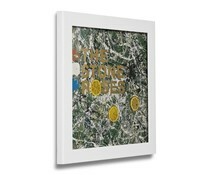 This is achieved thanks to the unique 'sponge finger' system on the back of the Flip Frame, which ensures that any 12" record will fit comfortably and securely inside.